In my household, it has to be quick and easy during the week and nothing beats that than roasted veggies. 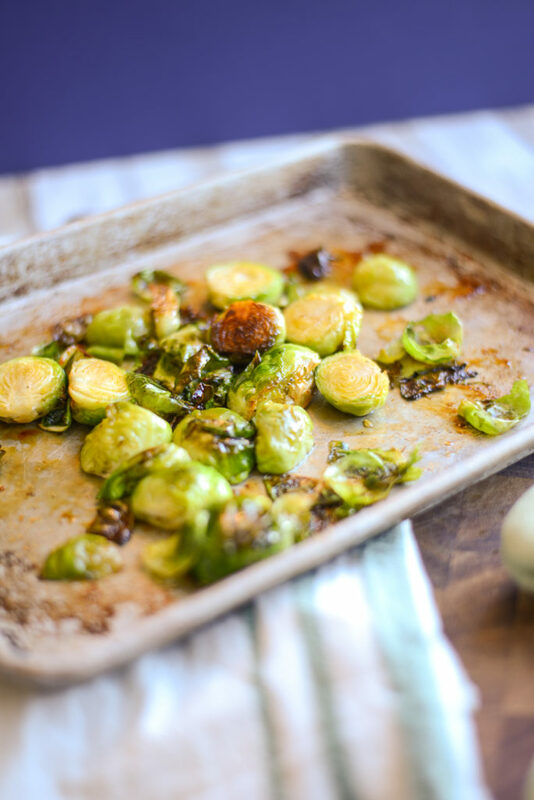 I’m a big fan of any side dish that can be quickly tossed together, dumped on a sheet pan, and popped in the oven and this recipe is one of my go-to favorites. Brussels sprouts are probably one of my favorite veggies. I don’t know what it is, the flavor, the magic of what happens in roasting with crispy leaves and chewy cores, or maybe it’s the longevity of shelf life. After all, I can take these home from the market and not be rushed to cook them off for at least 5-7 days (or more actually). What else makes this special? Honey. Who can’t resist a delicious drizzle of honey on a roasted veg? 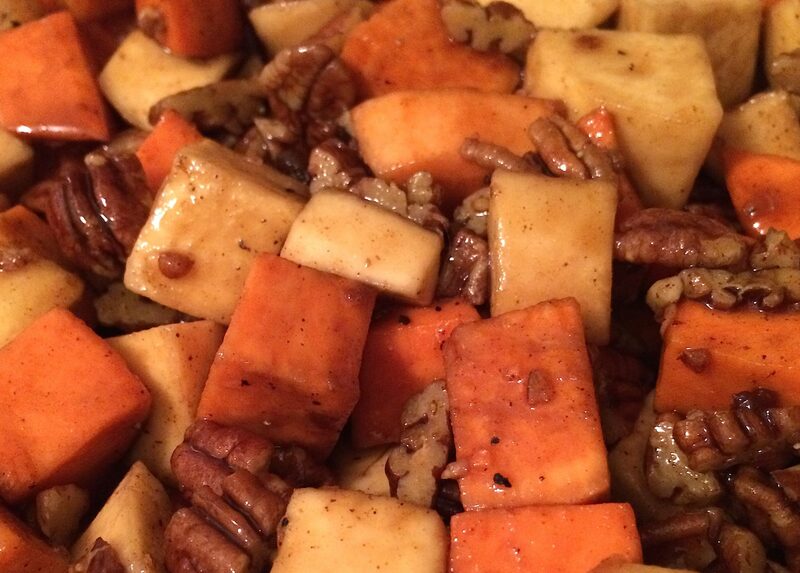 Not only does it give the side dish amazing flavor, it also provides amazing caramelization and who doesn’t love that! We gave it a little extra spice with some Spicy Honey from Bushwick Kitchen, we strongly urge you to try some. We also had the opportunity to try out a new premium Turkish olive oil by Hic Olive Oil with this recipe – all we have to say is wow! 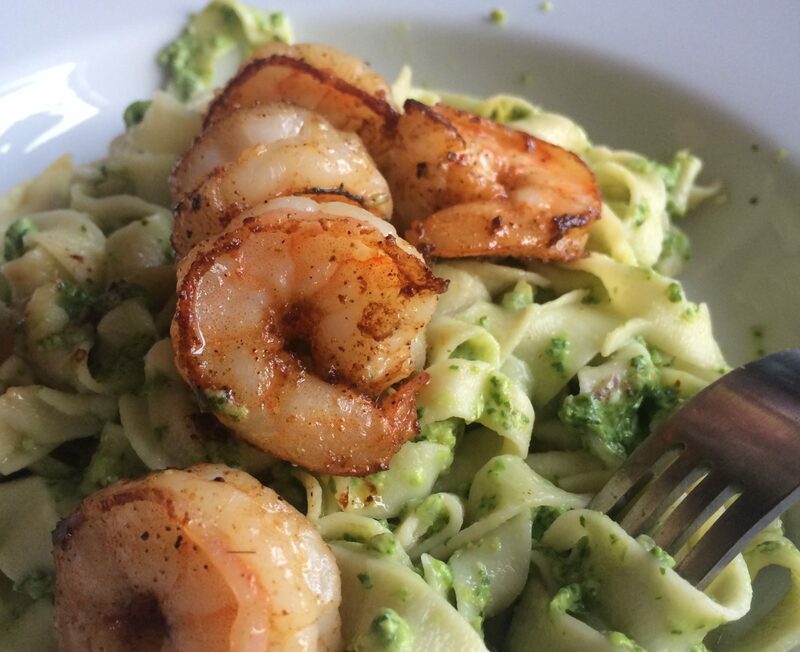 A good quality olive oil really can make the difference in a recipe. We hope you give this one a whirl next week. It’s absolutely delish! 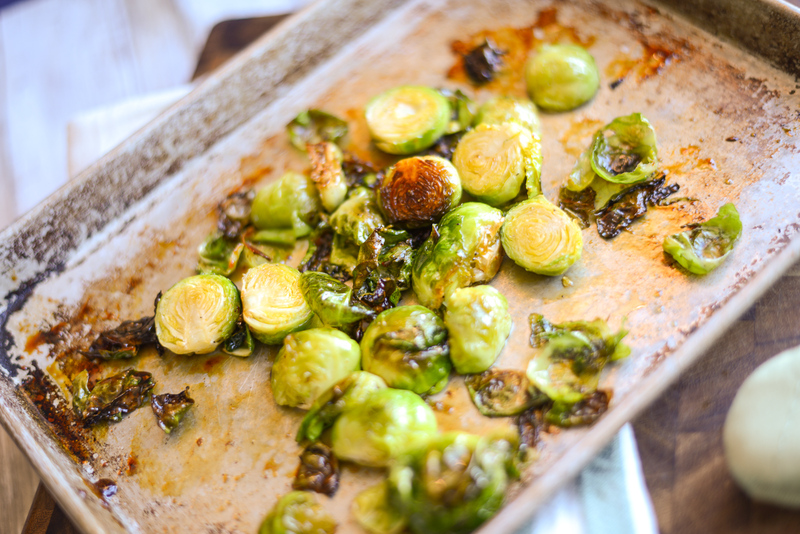 Preheat the oven to 400 degrees F. Prepare the brussels sprouts by trimming the stems and cutting into halves or quarters depending on the size of your sprouts. Toss in a large bowl and drizzle with the olive oil and honey. Season with salt and pepper to your preferred taste and then pop in the oven for 15-20 minutes (until nicely caramelized). 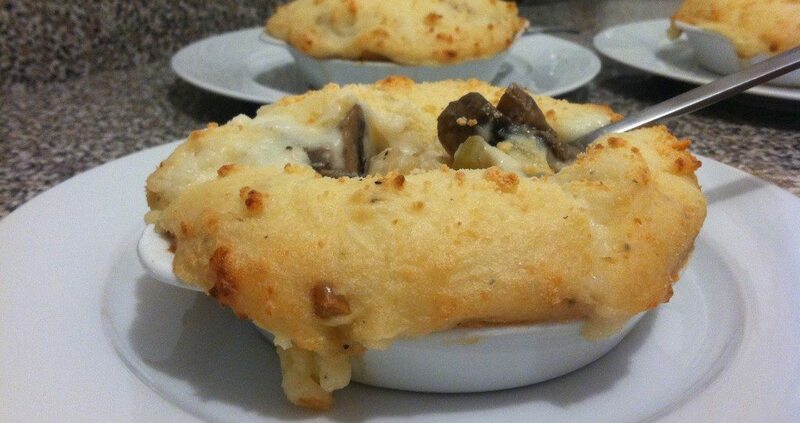 Remove from the oven and give a bit of a stir and serve right away.